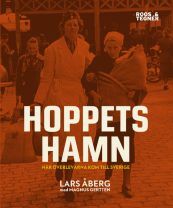 Subtitled “If Sweden tomorrow becomes like Malmö today, what will Sweden be like?”, my new book on the tricky and sensitive issues of integration and segregation, “Framtidsstaden” (“Future City”), has gotten a lot of media attention and it shot to the top of the Swedish internet bookstore bestseller lists as soon as it was published in January. The publication has been followed by lots of invitations to lectures and debates as well as interviews in both national and international media. My book about the colourful California houseboat culture, produced with photographer Lars Strandberg, is released by German publisher Kerber Verlag. 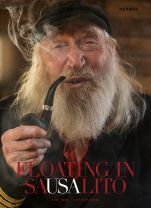 Both Los Angeles Times and San Francisco Chronicle recommended “Floating in Sausalito” in their respective Holiday Books Guides 2016. In October 2012, “West” won the prestigious Swedish Design Award. “West”, produced with Lars Strandberg (photo) and Ronnie Nilsson (design), is my first book to be published in the U.S. The book is a European take on the modern American West and is released by Gibbs Smith. West’ is a definite ‘must have’ book”. This is the new edition, with a new foreword, of my critically acclaimed book “Cowboy”. It is a collection of non-fictional stories from the lesser known parts of the United States, from Montana to Mississippi, from West Virginia to the Nevada desert. It is a book in which I try to make sense of my American journeys and encounters through the years, and to understand what makes this country and its culture so alluring. So far, “Cowboy” is only available in Swedish. “Stora famnen” (“Open Arms”) portrays Diabaté Dialy Mory, commonly known as Dallas, who is a legendary youth worker and boxing coach in a troubled part of Malmö called Rosengård (Rose Garden). 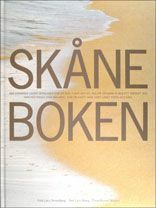 “Cape Scania” is the title of the English version of this book (Swedish title: “Skåneboken”), which is a poetic interpretation of the scenic landscapes in the southernmost region in Sweden. 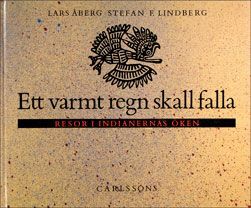 The book was made in collaboration with photographer Lars Strandberg and designer Ronnie Nilsson. I have written the introduction to the Swedish translation of Al Franken´s “Lies and The Lying Liars Who Tell Them”. “Cowboy” (“Cowboy. On The Road in a Different America”) is a collection of non-fictional stories from the lesser known parts of the United States, from Montana to Mississippi, from West Virginia to the Nevada desert. It is a book in which I try to make sense of my American journeys and encounters through the years, and to understand what makes this country and its culture so alluring. So far, “Cowboy” is only available in Swedish. 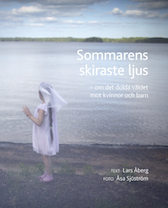 I have written one of the stories in this anthology, “13 resor värre” (“13 Journeys out of Control”), with Swedish authors depicting journeys that did not turn out according to plan. “Ett varmt regn skall falla” (“A Warm Rain’s A-Gonna Fall”) combines non-fictional and fictional stories from the American southwest, where mining and forced relocation are forever changing the lives of the Navajo and the Hopi. 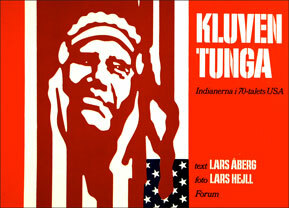 “Kluven tunga” (“Forked tongue”) is based on long stays on Indian reservations in the mid-1970´s, and its focus is on the conflict between the American Indian Movement and the various agencies of the U.S. government. 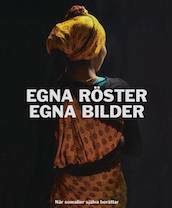 On how the dependences associated with clan societies are establishing themselves in the fabric of the welfare society, in the Swedish weekly current affairs magazine Dagens Samhälle. Article in Göteborgs-Posten questioning the term Islamophobia, which is imprecise and full of propagandistic opportunities. Hippie dreams then and now – the houseboat community in Sausalito, California. Published in the Swedish daily Göteborgs-Posten. 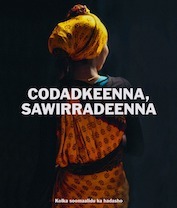 Feature story in the Malmö daily Sydsvenskan about Sweden as the center of Somali literature and the publisher behind two thirds of the world’s books in Somali.